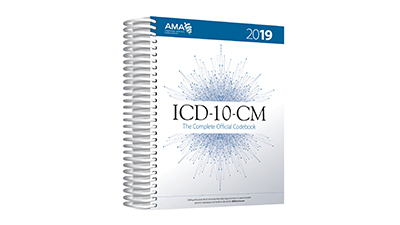 ICD-10-CM 2019: The Complete Official Codebook presents the complete code set—21 chapters—within a tabular list of diseases and injuries. 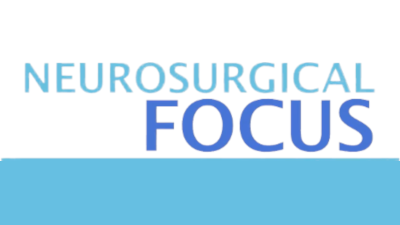 Neurosurgical Focus covers a different topic in-depth each month. Enhanced by color images and video clips, each peer-reviewed issue constitutes a state-of-the-art “textbook chapter” in the field of neurosurgery. While Neurosurgical Focus is open-access and has been free to the public since 1996, claiming CME credit is free only for AANS members. Each monthly issue offers 3 credits - earn up to 36 CME annually. Earn up to 3 CME credits by participating. Express a better understanding of the diagnosis of primary and secondary infections of the spine. Classify medical and surgical management of primary and secondary spinal infections. Identify similarities and differences of primary and secondary infections of the spine. Please Note: It is recognized that the use of non-FDA approved devices is described in some of the published material, but these techniques are often the standard of care and may be of value to the patients we serve. The AANS designates this journal-based CME for a maximum of 3.00 AMA PRA Category 1 CreditTM. Term of approval is for three years, beginning from 01/01/2019 to 01/01/2022. Upon successful completion of the CME test, credit will automatically be reflected in your member record. Non-members must print a certificate and retain a copy for your CME records. Express an understanding of surgical techniques associated with cerebral revascularization. Indicate an understanding of the indications for cerebral revascularization procedures. Identify an understanding of the complications associated with cerebral revascularization procedures. Outline a greater appreciation of the level of evidence in the literature for cerebral revascularization approaches. Term of approval is for three years, beginning from 02/01/2019 to 02/28/2022. Distinguish the incidence of acute spinal cord injury. Express the pathophysiology of acute spinal cord injury. Discuss the potential therapeutic approaches for acute spinal cord injury. Indicate current and future research related to acute spinal cord injury. Term of approval is for three years, beginning from 03/01/2019 to 03/31/2022. Express a better understanding of enhanced recovery after surgery (ERAS) in the spine. Identify individual ERAS components including patient education, surgical approach, blood loss, patient nutrition, and pain management. Indicate potential benefits of ERAS in terms of lower rates of morbidity and improved clinical outcomes for appropriately selected patients. Term of approval is for three years, beginning from 04/01/2019 to 04/30/2022. 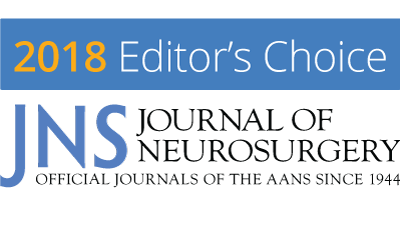 These 15 articles were chosen by James T. Rutka, MD, PhD, FAANS, editor of the Journal of Neurosurgery, as among the most noteworthy published in 2018. Read these choice selections covering standards of care, trauma and pain, and earn up to 15 CME credits. Participants can earn up to 11 trauma credits and 3 pain credits through this online activity. Earn up to 15 CME credits by participating. 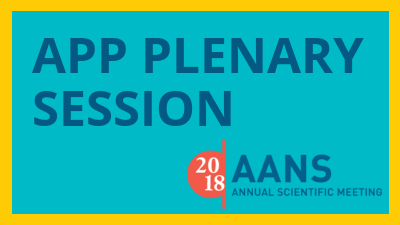 Discuss recent research that impact that standard of neurosurgery care. Describe the clinical applications of recent trauma and pain research. The AANS designates this journal-based CME for a maximum of 15.00 AMA PRA Category 1 CreditTM. Term of approval is for three years, beginning from 12/5/2018 to 12/5/2021. This 3.5 hour course provides an update on recent developments in cerebrovascular and endovascular neurosurgery. The course focuses on new developments in management of cerebrovascular disease, such as aneurysms, ischemic and hemorrhagic stroke, carotid disease, vascular malformations and moyamoya. Focused presentations are offered on each topic in conjunction with question and answer sessions. Earn up to 3.5 CME credits by participating. 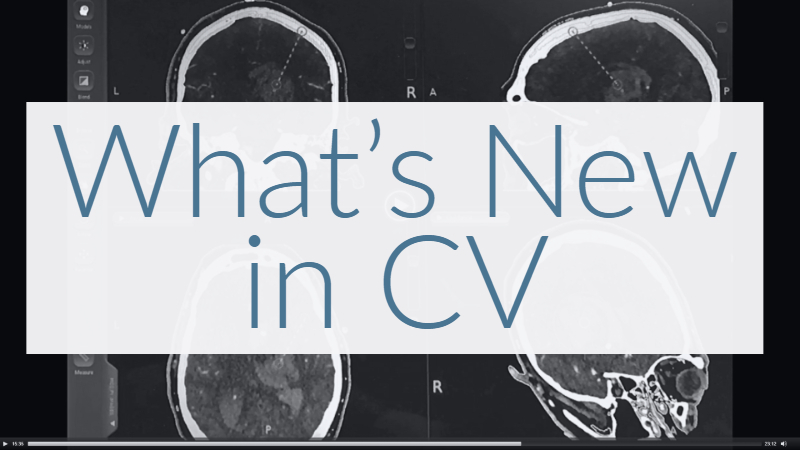 Describe current management of common cerebrovascular surgical conditions. Identify new or developing trends in the management of cerebrovascular disease. Discuss current and future technologies for the interventional treatment of cerebrovascular disease. Watch a preview of one of the ten presentations included in this online course. Louis J. Kim, MD, FAANS Spi Surgical Inc.
Carl Zeiss Meditec, Inc., Stryker, Inc. The AANS designates this enduring material for a maximum of 3.5 AMA PRA Category 1 CreditTM. Term of approval is for three years, beginning from 09/07/2018 to 09/07/2021. 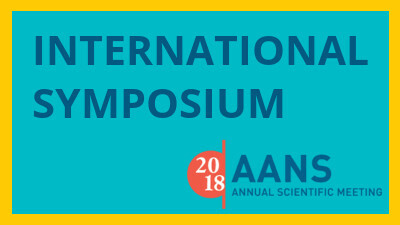 Watch a complete online recording of the 2018 AANS International Symposium to experience this unique educational event from anywhere in the world. This symposium contains more than 15 hours of neurosurgical presentations from internationally-renowned neurosurgeons, speaking on the topics of neurotrauma, spine, cerebrovascular, tumor and stereotactic. Watch one of the nearly 50 presentations included in the International Symposium. 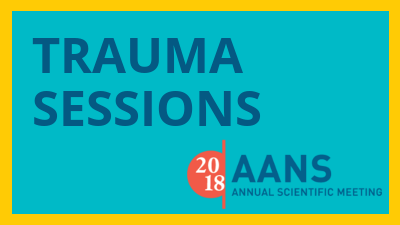 Earn up to 5.5 trauma CME credits and receive access to the recorded trauma-related sessions from the 2018 AANS Annual Scientific Meeting, including named lectures, abstract presentations and discussions. Earn up to 5.5 CME by participating. The AANS designates this enduring material for a maximum of 5.5 AMA PRA Category 1 Credit™. Time to complete this activity varies by learner. For this activity you may earn up to 5.5 AMA PRA Category 1 Credit™.